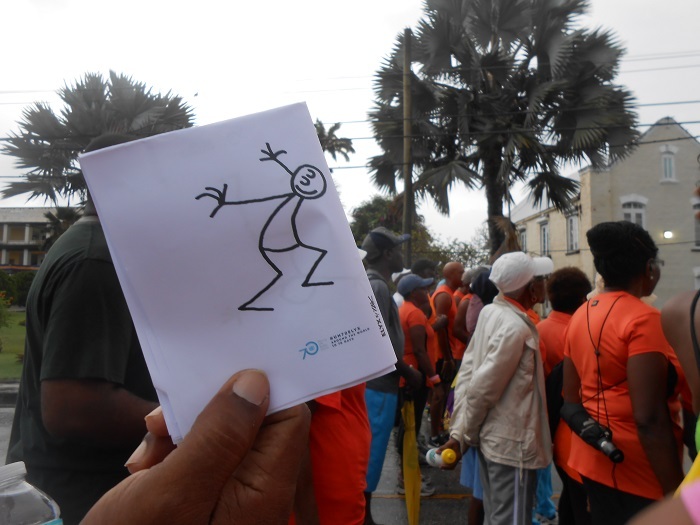 Elyx lands in Barbados, a wonderful island country in the Lesser Antilles, where UN friends are looking forward to its arrival. The UN digital ambassador could not choose a better time. 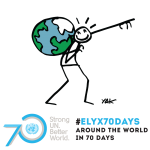 Within the World Food Day Week of Activities, Elyx helps to launch the Barbados Food and Nutrition Security Media Campaign, funded through an FAO project for the preparation of a Food and Nutrition Security Strategy and Plan for Barbados. Promotional materials were developed to make the media campaign more visible, including fact sheets on food security, press releases, radio and television public service announcements, children stickers, posters, a slogan and an e-flyer. 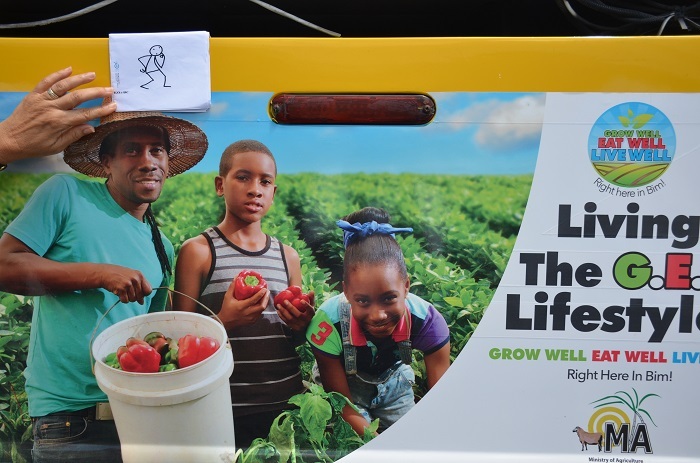 The purpose of the campaign is to educate the public, specifically the younger generation, on critical matters related to food and nutrition security and the initiatives to be undertaken within the Barbados Food and Nutrition Security Policy and Action Plan. The campaign also wants to encourage the production and consumption of locally produced nutritious products, the adoption of new technologies in this field, as well as a greater youth participation in agriculture. Finally, the campaign aims at promoting healthier lifestyle practices and eating habits to prevent, among others, chronic non-communicable diseases. 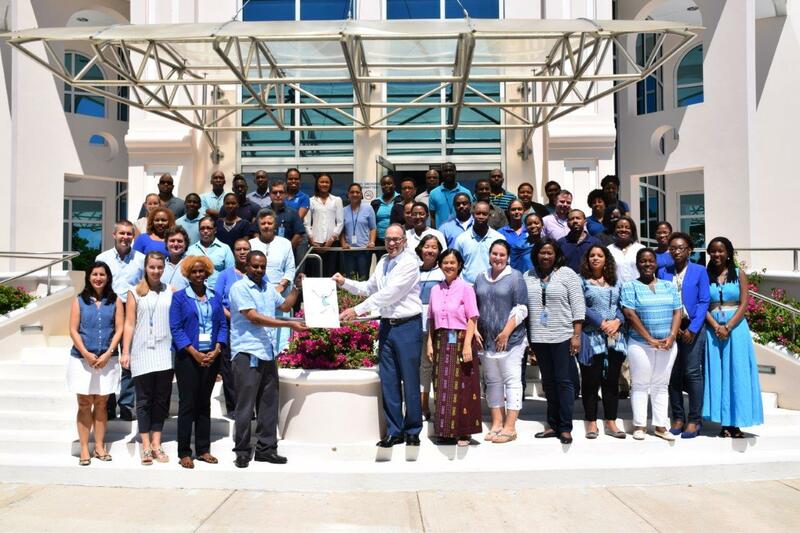 Elyx also attended a site visit to Barbados’ parliament building, in preparation for it being lit blue in celebration of the UN’s 70th anniversary. Barbados’ parliament building is a UNESCO World Heritage Site and the third oldest parliament in the Commonwealth. Other regional locations to be lit include Trinidad and Tobago’s Bandstand of the Royal Botanic Gardens, UN House in Suriname, and Brazil’s Christ the Redeemer and Municipal Theatre, among many others internationally. Time to leave now. Bye bye wondrous Barbados and thank you UN friends!